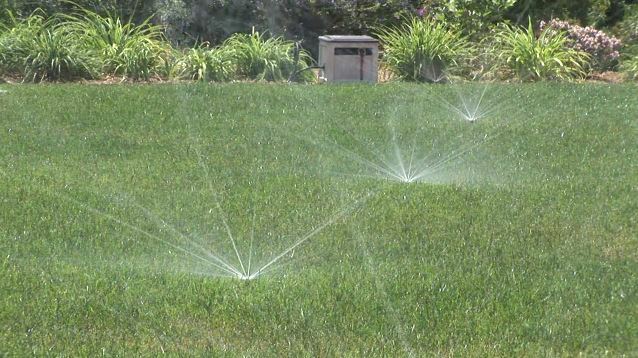 A storm forecast to douse San Diego County later this week offers an opportunity to conserve large amounts of water by turning off sprinklers — and it’s the law. The National Weather Service said a low-pressure system will move through Southern California Thursday and Friday, bringing as much as an inch of rain to coastal San Diego, along with gusty winds, mountain snow and possibly thunderstorms. By state law, it’s illegal to irrigate landscapes during measurable rainfall and for 48 hours afterward, amid the record California drought. The San Diego County Water Authority said that as a practical matter irrigation systems can be left off for much longer after significant rain. “Back-to-back storms this close to summer are a huge boon for the region because they allow us to turn off sprinklers and let Mother Nature do the watering for a week or more,” said Mark Weston, chair of the water authority. Outdoor watering accounts for more than half of a typical household’s water use in California. The water authority’s staff has recommended limiting irrigation to no more than two days a week beginning June 1.